The Best Portland blogs from thousands of top Portland blogs in our index using search and social metrics. Data will be refreshed once a week. Portland newsletter is a comprehensive summary of the day's most important blog posts and news articles from the best Portland websites on the web, and delivered to your email inbox each morning. To subscribe, simply provide us with your email address. Portland, Oregon About Blog Portland's Most Awesome Weekly Newspaper covering Portland news, politics, music, food & drink, comedy, cannabis, film, and arts; plus the most extensive movie times, club calendars, and blogs. Facebook fans 58,459. Twitter followers 89,807. San Francisco, CA About Blog Portland is the regional subreddit for Portland, Oregon. Reddit is a community of millions of users engaging in the creation of content and the sharing of conversation across tens of thousands of topics. Facebook fans 1,176,197. Twitter followers 535,346. Portland, OR About Blog Portland Monthly chronicles, challenges, and celebrates one of America’s most innovative cities, inspiring readers to explore and shape the vibrant metropolis we call home. Here you will find reviews of best restuarants. Facebook fans 79,669. Twitter followers 105,923.
portland, oregon About Blog Over the last 10 years, PDX Pipeline has been a go-to online resource for long-time locals, the newly arrived and tourists to find new and exciting ways to explore the city of Portland, as well as a growing resource for jobseekers and employers. Facebook fans 38,378. Twitter followers 81,696. Portland, OR About Blog My name is Michelle. I’m the baker, blogger and photographer behind Hummingbird High. I started this blog to help me learn more about high-altitude baking. I decided that the best way to do so was to bake through my favorite cookbook, The Hummingbird Bakery Cookbook, and try and adapt the recipes to work at high altitude. Facebook fans 8,490. Twitter followers 3,079. PDX About Blog Hello! I'm Jen. I have a blog called Honey Kennedy. Here I like to talk about that, my love for Portland and lots of other stuff. Sail Away To Fancy. Fashion, interiors, art, travel, design & more! Facebook fans 4,439. Twitter followers 3,757. Portland, OR About Blog My name is Tonya and I am a fashion blogger based in Portland, OR. The Moptop comes from my love for the Beatles and my messy hair! This is where I share my style, inspirations, and everything in between! Facebook fans 2,901. Twitter followers 1,236. About Blog View Breaking Local News Headlines in Portland from The Portland Business Journal. Access business resources, company profiles, business advice columns, local jobs and more. Facebook fans 64,307. Twitter followers 43,810. Portland, OR About Blog Lavenda’s Closet was launched in January 2014 as Lavenda's lifestyle journal and fashion diary. Her passions have always included writing, fashion photography, fashion and all things creative, so her blog became a combination of these. Facebook fans 6,234. Twitter followers 914. Portland About Blog Creative director, food and prop stylist based in Portland, Oregon. Ashley is well known in the community as a food writer that leans towards simple recipes with big flavor that highlight seasonal and local produce. Facebook fans 1,172. Twitter followers 612. Portland, OR About Blog Pechluck.com chronicles adventures in eating – dining out and cooking and imbibing with appreciation for local Portland OR deliciousness or wherever. Facebook fans 257. Twitter followers 1,220. Portland, Oregon About Blog A photo blog exploring Portland's past through historical images. Facebook fans 4,026. Twitter followers 1,038. Portland, OR About Blog Portland Notes is here to discover and highlight outstanding local artists, to explore what inspires and motivates their creativity, and to share their talent with Portland and the world. Facebook fans 1,007. Twitter followers 365. Portland, OR. About Blog Food news and dining guides for Portland, OR. Facebook fans 20,817. Twitter followers 32,003. Portland, OR About Blog Your best source for quality Portland Trail Blazers news, rumors, analysis, stats and scores from the fan perspective. Facebook fans 116,886. Twitter followers 13,925. Portland, OR About Blog Connecting moms in the Portland metro area with each other and our community. Facebook fans 4,603. Twitter followers 834. Portland, Oregon, USA About Blog Portland Oregon bicycle news, events, culture, travel and opinion. Facebook fans 8,408. Twitter followers 24,893. Portland, OR About Blog Everything you need to plan vacations, meetings and days out in and around Portland, Oregon. Facebook fans 152,630. Twitter followers 150,451. Portland, OR About Blog Non-commercial, classical music radio and fine arts information in Portland, Oregon. Facebook fans 10,464. Twitter followers 2,636. Portland, Oregon About Blog Portland Rescue Mission provides food, shelter, recovery and other vital services to men, women and children affected by homelessness, addiction and abuse. Facebook fans 5,551. Twitter followers 2,936. Portland, OR About Blog It is the purpose of the Portland Youth Philharmonic Association to maintain the finest possible youth orchestras in order to inspire and educate young people through performing symphonic music and to provide a cultural asset for the community. Facebook fans 3,723. Twitter followers 1,161. Portland, OR About Blog This blog of Portland photographer Dylan M Howell features weddings, portraits, personal work, photography tutorials, and gear reviews. This blog concentrates on telling adventurous love stories all around the world. Facebook fans 43,191. Twitter followers 1,619. Facebook fans 4,007. Twitter followers 13,251. Toronto / LA / Portland OR About Blog A Lifestyle Blog for Smart Women! Facebook fans 2,647. Twitter followers 5,264. Portland (PDX), Oregon About Blog Silicon Florist by Rick Turoczy covers Portland, Oregon, and Silicon Forest startups, blogs, events, and technology news. Facebook fans 2,988. Twitter followers 10,990. Portland, OR About Blog Portland Made is a local goods collective, providing resources and support to Portland's Makers & Manufacturers. Stronger together, we are Portland Made. Facebook fans 2,684. Twitter followers 1,447. Portland, Oregon About Blog Food Carts Portland documents and tells the story of the food carts and trucks in Portland. Facebook fans 60,895. Twitter followers 78,136. Oregon & Washington About Blog Hasson is an independent real estate company. Our community blog, The Local Arrow, highlights local happenings, home inspiration, real estate and more! Facebook fans 2,069. Twitter followers 629. Portland, OR About Blog Top Portland Real Estate Agent, Realtor Principal Broker, Licensed in Oregon since 2003. Facebook fans 481. Twitter followers 437. Portland, OR About Blog Life, style and adventures in motherhood at The Little Things We Do, Babble.com & Disney Baby! Facebook fans 2,179. Twitter followers 1,700. Portland, OR About Blog PRP.fm is smart, friendly, local radio run by passionate Portland radio professionals and incredible volunteers who care about music and community – local radio at its best. Facebook fans 8,945. Twitter followers 2,709. Portland, OR About Blog Eleven Magazine is your source for everything music, community, and culture related in the Portland metropolitan area. Facebook fans 2,729. Twitter followers 3,260. Portland, OR About Blog PDX LISTED is a local real estate service business in Portland, OR. PDX Listed not only provides real estate agent services but also provides lots of professional information on our local housing market statistics, data and insight into Portland real estate. Facebook fans 12. Twitter followers 339. Studios All Around Portland OR About Blog An annual self-guided tour to visit the studios of ~100 artists throughout the Portland, Oregon metro area. Portland Open Studios creates a unique educational opportunity for the public to witness the process of art in the making, learn about media and materials, and the business of creative endeavor. Facebook fans 3,591. Twitter followers 2,548. Portland, OR About Blog Living and loving the DIY life in Portland, OR. Facebook fans 797. Twitter followers 1,883. Portland, Oregon About Blog This Messy Season is a Portland, Oregon based blog about embracing your season of life. My passion is for families. The ones right in the thick of it. I offer my readers tangible encouragement for living their fullest lives with small kids underfoot. Facebook fans 763. Twitter followers 634. Portland, Oregon About Blog Think Real Estate is a collection of expert real estate agents dedicated to providing smart service to our clients. We are passionate about real estate, and this love makes us energetic and always excited to meet new people so we can keep making Portland smarter. Facebook fans 653. Twitter followers 335. Portland, OR About Blog Whether you are buying or selling a family home or investing in income producing property, we are your Portland real estate market experts. Facebook fans 2,845. Twitter followers 75. Vancouver, BC to Los Angeles About Blog EYES & EDGE is lifestyle magazine focusing on streetwear, fashion, music and events based in Portland, Oregon. Facebook fans 1,411. Twitter followers 1,487. Portland, OR About Blog Portland Bloggers is a meet-up group and blogging resource made by and for Portland, OR area bloggers. Facebook fans 753. Twitter followers 1,278. Portland, OR About Blog Jessica Hill Photography specializes in unique, fine-art wedding photography in Portland Oregon. Facebook fans 1,536. Twitter followers 729. Portland, OR About Blog The Agency is a boutique real estate firm serving the Portland Oregon market. Facebook fans 286. Twitter followers 1. Portland, Oregon About Blog Portland And Eugene Real Estate Photos blog features real-estate architectural photography service. Facebook fans 525. Twitter followers 93. Portland, OR About Blog Powers's blog of weddings, engagement photo shoots, and personal and family portraits. Facebook fans 4,393. Twitter followers 709. Portland, OR About Blog Daniel and Lindsay Stark are artistic documentary Portland wedding photographers based in Portland, Oregon. Facebook fans 5,182. Twitter followers 282. Vancouver,WA // Portland,OR About Blog A cooking and baking blog sharing tips and tricks learned in Culinary School based in Portland, Oregon. Featuring whole food recipes with easy-to-follow instructions and photos. Facebook fans 1,113. Twitter followers 1,469. Portland, OR About Blog Portland Wedding, Portrait & Travel Photography, and the adventures of Ara. Facebook fans 994. Twitter followers 871. Portland, OR About Blog Lifestyle and wedding photographers based out of Portland, OR. We pride ourselves on capturing romantic, timeless imagery through our carefree style. Facebook fans 4,657. Twitter followers 75. Portland, OR About Blog Portland Vancouver Metro Real Estate Blog offers daily information on Real Estate Trends, News, Home Maintenance, Decor, Staging and More! Facebook fans 4,617. Twitter followers 1,370. Portland, OR About Blog A Portland, OR based lifestyle blog that focuses on honest, approachable, inspirational writing on motherhood, style, travel and more. Portland, OR About Blog Hello! I'm Kailey. Friendly neighborhood cat stalker, ice cream enthusiast, illustrator, and beauty writer. Based in the Portland, Oregon area. Facebook fans n/a. Twitter followers 7,264. Portland, OR About Blog Wedding Photographer, International Destination Wedding Photographer located in Portland, OR and available for weddings worldwide. Facebook fans 1,467. Twitter followers 188. About Blog Find travel, fashion, lifestyle blog on Portland by sam landreth. Portland, OR About Blog With an energetic team that boasts a combined real estate experience of over 50 years, we strive to push the industry to higher standards; we offer only genuine guidance and sensible strategies at every stage of the buying, selling and investing process! Portland, OR About Blog Portland & Seattle Lifestyle & Wedding Photographer! Facebook fans 2,401. Twitter followers 427. About Blog A collaborative blog of Portland Oregon wedding photographers. Portland About Blog The P.Town Girls is my own personal blog showcasing my love for fashion and thrifting! Facebook fans 151. Twitter followers 260. Portland, OR About Blog Allison Smith offers both residential and commercial interior design services, kitchen and bath remodeling, home furnishings and decor, and paint selection. Facebook fans 691. Twitter followers 568. Portland, OR About Blog Women's designer and contemporary clothing in Downtown Portland. Facebook fans 1,580. Twitter followers 1,166. Portland, Oregon About Blog At PDX Property Group of Keller Williams Realty Professionals, we approach real estate a bit differently. We recognize that in order to efficiently get houses sold and to successfully connect buyers with their perfect home, it takes more than a typical real estate agent. Facebook fans 1,436. Twitter followers 385. NE Portland, OR About Blog Artistic Portland is a collaborative project of many local artists. We wanted to create a place to showcase the art, craft and creativity of our corner of the world, in a way that encourages personal involvement from all of our artisans. Facebook fans 2,388. Twitter followers 65. Portland, OR About Blog A blog by a back-of-the-pack runner, vegetarian, and wanna-be triathlete. About Blog Chris Brodell is a wedding photographer in Portland, Oregon. He photographs engagement sessions, elopements, and weddings with a candid, documentary style throughout the Pacific Northwest. Portland, Oregon About Blog Top photos from Portland photographer Lauren LaBarre in Portland, Oregon. Specializing in authentic lifestyle, documentary, family, newborn, and maternity photography. Facebook fans 708. Twitter followers 2. Portland, OR About Blog Portland Oregon Real Estate Information from the The Rob Levy Team Real Estate agency. Facebook fans 1,077. Twitter followers 357. About Blog I’m Marina McAvoy, a twenty-something blogger living in the incredible city Portland, OR. I have been seeking out and promoting all things beautiful. About Blog I am a gentle spirit with a love for all things cozy. Big sweaters, piles of blankets, and tea are a few of my favorite things. I am inspired by dreamy light, boho fashion, and natural beauty. When I’m not taking photos, I enjoy exploring the beautiful city of Portland, Oregon with my flannel-loving husband and our little rescue dog. Facebook fans 2,213. Twitter followers n/a. Portland Oregon About Blog A skipping stone from Portland, to Michigan, New York City, and back to Portland. It was theatre and dance worlds in Manhattan. And here in Portland, total immersion into the radio broadcasting world (KGON, Q105, The BEAT, and KINK), more dance, theatre, art and endless music. Portland, Oregon About Blog Food Photographer in Portland Oregon and the greater Northwest. PDX, Oregon About Blog The Portland Real Estate Experts at Taylor Group Realty bring you their Real Estate Expertise in their Portland real estate blog. Facebook fans 788. Twitter followers 384. Portland, OR About Blog SellPDX.com is comprised of a team of local real estate professionals committed to selling some of the most desired homes in Inner Portland Metro. Facebook fans 189. Twitter followers 140. Wilmington, NC About Blog Oregon Wedding Photographer Sean Carr is based out of Portland Oregon but shooting weddings & elopements throughout U.S. and destinations worldwide. Facebook fans 2,609. Twitter followers 188. Portland, OR About Blog Katie is a young and creative talent in the Greater Northwest. She specializes in Portrait Photography and Weddings. Facebook fans 397. Twitter followers 41.
washington, dc About Blog Andrea Zajonc Photography, Portland wedding photographer offers wedding, engagement, and portrait photography. Facebook fans 631. Twitter followers 170. Portland, OR About Blog Wirral based photographer specialising in weddings, events and portraits . About Blog This blog is for people in the Portland, Oregon area who draw or paint generally in one sitting and from direct observation, in "real time"*. Portland, OR About Blog Blog dedicated to the Portland Oregon metro area real estate market. Facebook fans 294. Twitter followers 2,180. Portland, OR About Blog The Quintessential Portland Food Blog. Facebook fans 406. Twitter followers 1,839. Portland, Oregon About Blog Seasonal home cooking, crafting and simple living in Portland, Oregon. Facebook fans 19. Twitter followers 94. Portland About Blog Serving your real estate needs in Portland and Vancouver. Facebook fans 2,436. Twitter followers 1,564. 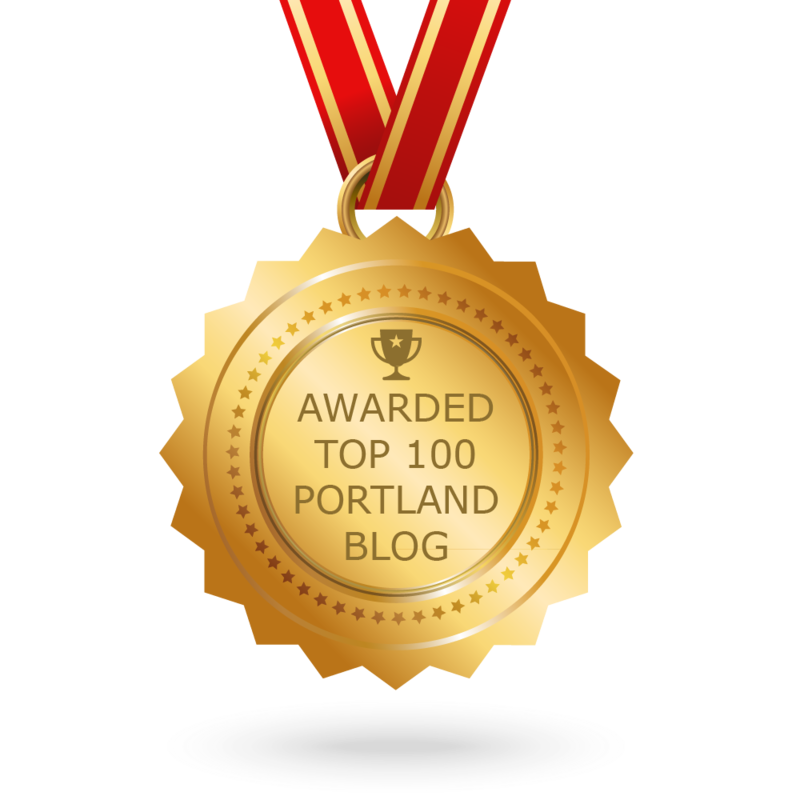 CONGRATULATIONS to every blogger that has made this Top Portland Blogs list! This is the most comprehensive list of best Portland blogs on the internet and I’m honoured to have you as part of this! I personally give you a high-five and want to thank you for your contribution to this world.